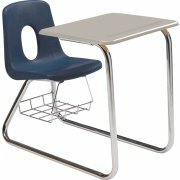 Great Style for your Classroom at a price that fits your school budget! Need to keep your classroom rows straight and orderly? These combo sled base student chair-desks will help you do it in style at a very budget-friendly price. 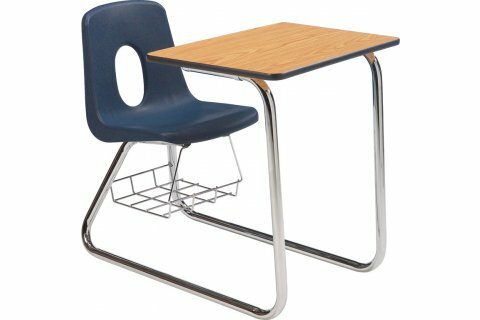 After all you're getting a student chair AND a built-in desk! The highly polished chrome and spacious writing surface (your choice of Hard Plastic, WoodStone or High-Pressure Laminate) is sure to create a neater-looking classroom environment that's more conducive to learning. 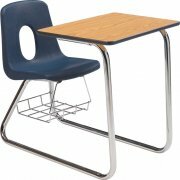 Students can enter easily from either side of the desk without any interfering crossbars.